Searching through Pinterest, I found this quote by Jim Rohn the other day: ”Whatever good things we build end up building us.” A great quote full of truth by itself actually lead me to something even more inspiring - a modern Pearson Design Group, an amazing architectural group based in Montana. When it comes to architecture and design, I very much believe in the craft itself, but also in the ideals and responsibilities one has a designer or architect. It’s clear that everyone of us has a different past, a different believe system, and simply a different way of how we function in our everyday routines; nevertheless, there’s a collective memory that we all share. It’s what I see when I look down into the crowded San Francisco Bay, it’s what I see when I gaze into the serenity of the ocean or the mountains. It’s always there, the history of the land and the memories that we share as people. I believe that good design and architecture can evoke these feelings in all of us if it successfully reflects the sensibilities of the property’s surroundings (among other things). The estate below does exactly that! Yes it’s very modern but it sure pays respect to its surrounding landscape. 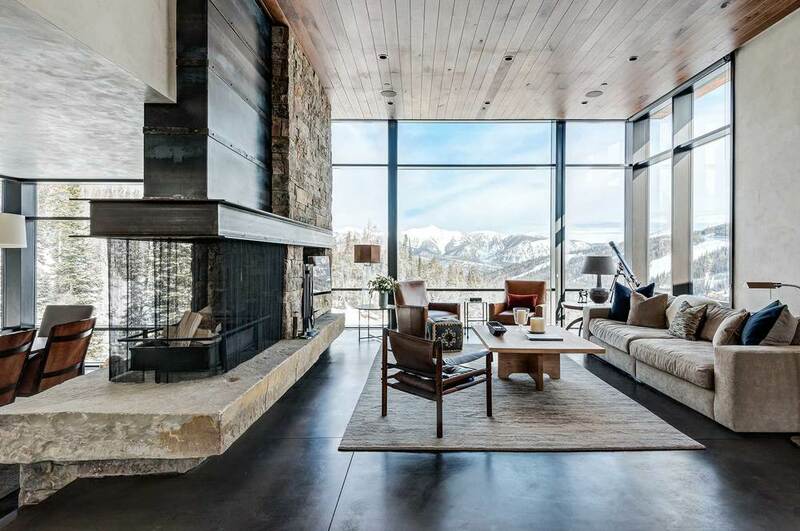 This modern mountain home has become my new favorite, and it embodies many elements any designer or architect strives for. Thank you for taking the time to read HAVEN STUDIOS‘s blog! 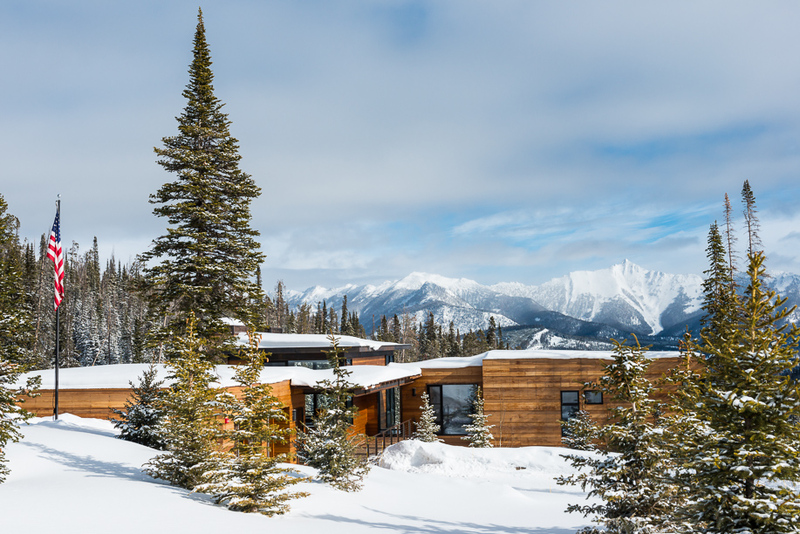 A modern home build in in the mountains of Montana is characterized by rustic industrial finishes and furniture. The views of the surrounding mountains are spectacular and can be admired from almost every angle of the interior. A ranch home on Santa Barbara is beautifully remodeled by Becker Studio. The new home is modern yet infused with a Old World, Mexican-style atmosphere - a modern hacienda in the hills of Santa Barbara (Montecito).